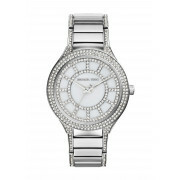 A stunning watch from Michael Kors which will add a touch of sparkle to any outfit. 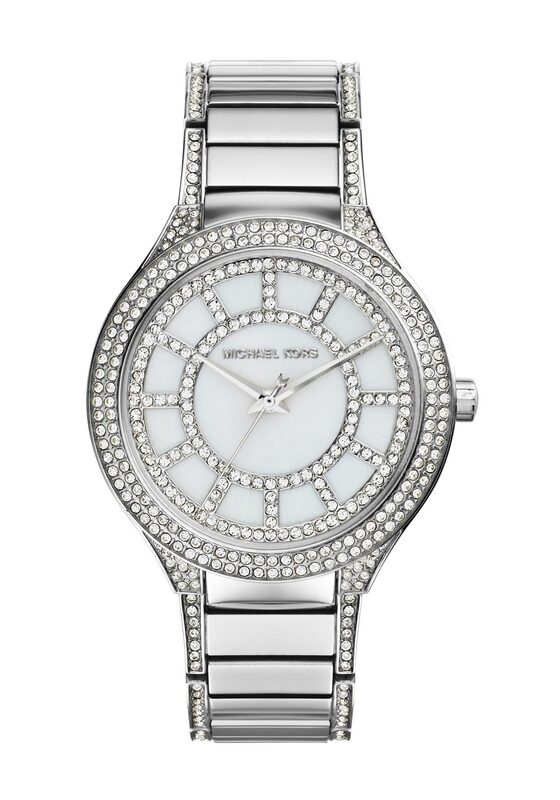 A dusting of dazzling pave stones on the dial, bezel and silver plated chain link band of the Kerry watch ensures an eye-catching look. Featuring a mother of pearl face and three hand display.